Crank up the volume without worrying about unwanted critiques of your noisiness from the neighbors. Made of flexible polyurethane foam, our polyester film facing panels are engineered to keep noise in — and complaints out. You’ll quiet the outside world and focus on what you want to on the inside with Acoustic Foam Panels designed to provide good sound absorption with minimal thickness. 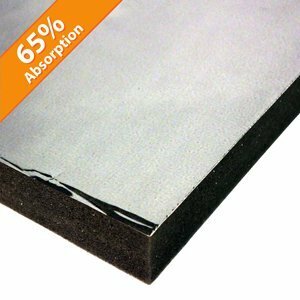 Our polyester film faced acoustic foam panels have excellent insulating properties and are the ideal fit for individuals desiring a superior product built with the strength and absorption qualities necessary for soundproofing. Build a sound and structured environment without the additional costs. Our Acoustic Foam Panels reap the same superior benefits of similar acoustical sound absorbing foam products for only a fraction of the cost. If temperature control quality is essential in fulfilling your soundproof necessities, our polyester film acoustic foam is designed for you. Acoustic Foam is engineered with uniform cell structure and maximum airflow resistance as well as heat, flame and chemical resistance. This ensures an end product with superior strength and superb insulating properties in a variety of temperatures and environments. Acoustic Foam Panels are built to perform and meet code requirements, with a UL94HF1 fire rating and flat appearance on both side. If variation is of importance to you, you’ll be pleased to know that our panels are available in an assortment of dimensions with a variety of protective facings. No matter what dimensions you choose to purchase, the application process is simple. Just peel and place your film in the desired location — it’s that easy. Fill out our contact form or email us directly at sales@soundproofcow.com if you have any questions regarding your soundproofing needs. We’d be happy to assist you in choosing the ideal materials for your studio or space. Mylar® is an extraordinarily strong polyester film with superior strength, heat resistance, and excellent insulating properties. This product has a bright silver finish that has excellent light reflective qualities. Special Order Thicknesses starting at 1/2 in. Special Order Sizes – Tell us what you need. Flammability — Acoustic Foam Panels are manufactured from polyurethane foam that has a flammability rating of UL94 HF-1. 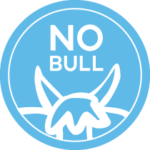 Before choosing this product, be sure the flammability rating passes your local building code for exposed materials. For the best flammability rating see our Class A™ Acoustic Foam Panels. ** Acoustic data is with fabric facing. Acoustic data should vary slightly for foam panel without the fabric covering.